“Monferrato. Home sweet home” the Barbera said. As we wrap things up on my gastronomic journey through the wines of Monferrato, my penultimate task is to take a look back on the vino that started my jaunt: Barbera d’Asti. The first thing that I should tell you is the same thing that I told a room full of Italian press and wine producers during a tasting: this is not just a popular grape; it’s an insanely, almost unfathomably popular grape. Barbera is the third most-planted fine red wine grape variety in Italy, which is no small achievement, considering that Italy itself often vies for the number one spot on the annual list of wine production worldwide. While Barbera isn’t planted much in Europe outside of Italy, it’s found pretty much everywhere else in the world. Italian emigration has brought Barbera to Argentina, Uruguay, and Brazil. It has been planted throughout Australia, the U.S. west coast winemaking states (and some of its East Coast states, too), and even South Africa. There’s an entire festival devoted to the grape, held annually in California’s Amador County, at which more than eighty wineries from throughout the state pour their Barbera wines for eager attendees. In January of 2018, I visited Israeli wine country for the first time, and I tasted Israeli Barbera. And not just one; I had several Israeli Barberas. Barbera is just the kind of versatile, food-friendly, fruity grape that travels well, and lends itself to the type of popularity that’s usually reserved for pop stars. But while Barbera can feel at home in just about any vineyard worldwide, it can only ever really have one place that it calls its true home. And if I learned anything during my trek through Piedmonte, it’s that Barbera’s real homeland is the place where it first grew up – and that place is in the soft light and the rolling hills of Monferrato. It’s not that the world’s Barbera wines aren’t good. In many cases, they are very, very good, which is a testament to just how well this vibrant grape can take to different climates and soils. But Barbera d’Asti in Monferrato? That’s where this is just so clearly at home, where it’s so obviously most comfortable in its own skin. 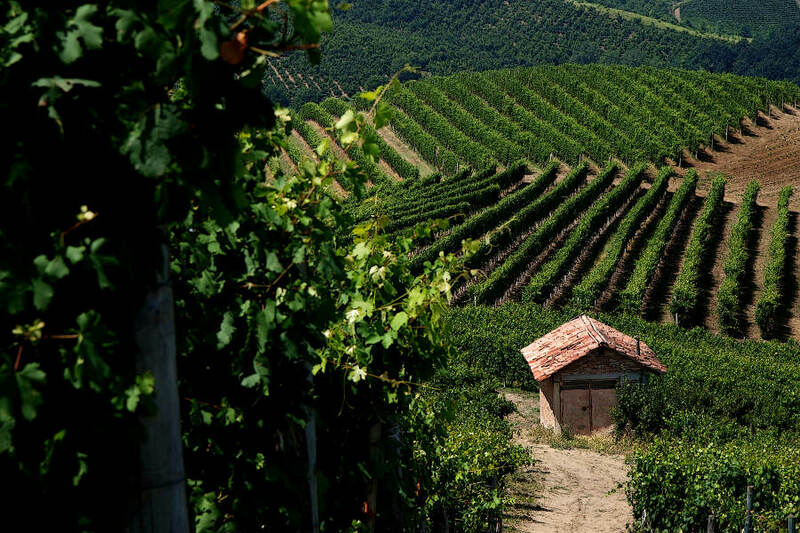 Monferrato is where Barbera most easily and effortlessly reveals its true colors, from its most affable and appealing and vibrantly fruit-forward personality, all the way to its most compelling, spicy, complex, and age-worthy presentations. Having Barbera d’Asti (particularly when you are in Asti) is kind of like watching a dominant football team compete on its home field, where it knows every nook and cranny of the stadium, and has the advantage of an enthusiastic home crowd cheering its head off in a unified show of approval, love and support. In having this true sense of place, there’s an endearing irony in Barbera d’Asti. Few red wine grapes have seen as much globe-trotting expansion as It, and yet its best and most versatile incarnations and intimately tied to just a single, special place. You could physically travel throughout the winemaking world, and you’d encounter Barbera at almost every stop. But to transport yourself almost instantly in spirit to one beautiful little corner of the planet – Monferrato – requires only that you pick up a bottle of Barbera d’Asti, find yourself a corkscrew, and allow yourself to enjoy what I’ve learned firsthand to be one of the purest and most consistent examples of place that the wine world can offer.